Abode Srl. Our official blog. Everything Italian and more. Italian Real Estate is our business. : Furia and fireworks in Florence! Furia and fireworks in Florence! 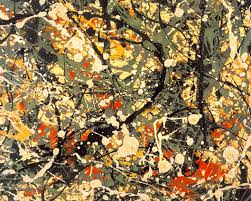 Jackson Pollock and Michelangelo are not the most likely couple, but an exhibition at the Palazzo Vecchio and ex-Tribunal of San Firenze in Florence puts the action painting of Pollock in direct comparison to Michelangelo's Renaissance work. 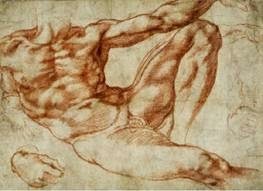 'La Figuria della Furia' marks the 450th anniversary of the death of Michelangelo and is an experimental comparison of two geniuses. La Figura della Furia runs until the 27th of July and is open all day every day until midnight, with the exception of Thursdays when the exhibits close at 14.00. The exhibition is in two parts; the first being in the Palazzo Vecchio and the second in the complex of San Firenze. 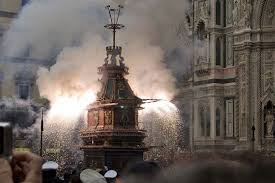 Also explosive are the Easter celebrations in Florence with the famous ornate and exploding cart. The cart, carrying a lit candle, is pulled from the Porta al Prato to the Piazza del Duomo by two oxen. The flame is blessed and is then used to light the 'Colomba' a dove shaped fuse, which sets off fireworks and pyrotechnics. A successful explosion apparently guarantees a year of good luck for the city. Let's hope it works and that the oxen aren't of nervous dispositions.